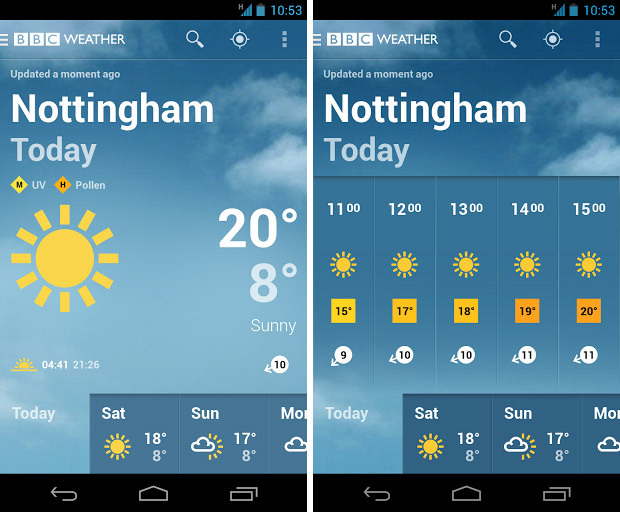 The Beeb has served up a rather splendid weather app for Android phones and we have to say it’s a rather dandy looking affair. The design is well thought-out, clear and concise and the app does everything you might want a weather app to do. The widget is rather smartly presented too, and has swiftly earned a place on our homescreen. We’ll still be keeping the Aix weather widget on our screen though as that remains the finest short term forecasting app we’ve ever clapped eyes on [read our Aix review here]. 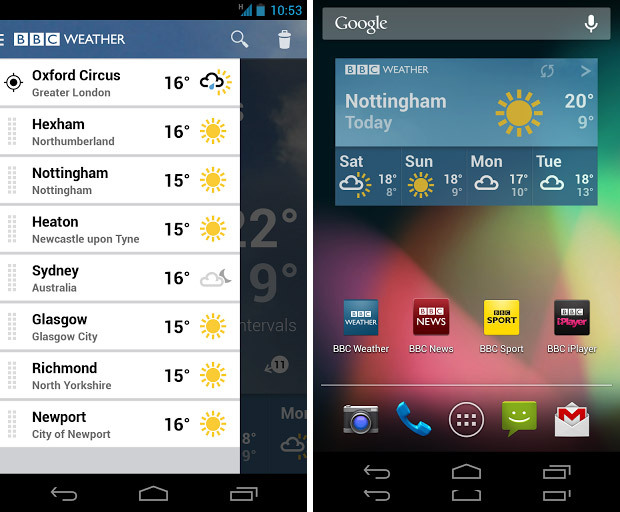 You can download the BBC weather app from here. We thoroughly recommend it.